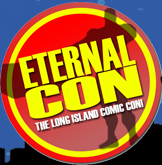 Once again Suburban Fairy Tales will have a table at Eternal Con, the Long Island, NY Pop Culture event! The dates are June 10-12, 2016 at the Cradle of Aviation Museum in Garden City, NY. 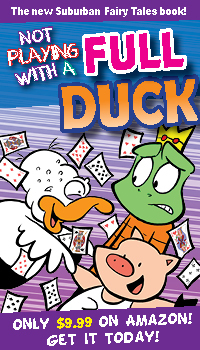 I will be at the table the entire weekend signing all four Suburban Fairy Tales books, the Made To Malfunction book, and the book I did for Archie Comics. Free original sketches will be given away with every book purchase. In addition, I will be selling Suburban Fairy Tales posters and Little Piggy plush dolls, which sold out the first day at last year’s NYCC! Tickets for Eternal Con are now available for purchase on the Eternal Con website. Hope to see you there!